We are living the high school football life right now. This means on Friday nights we either eat fast food, tailgate or “homegate.” When it’s 100 degrees in the shade (like right now) we usually homegate it, and I have to make a super quick dinner before the game. 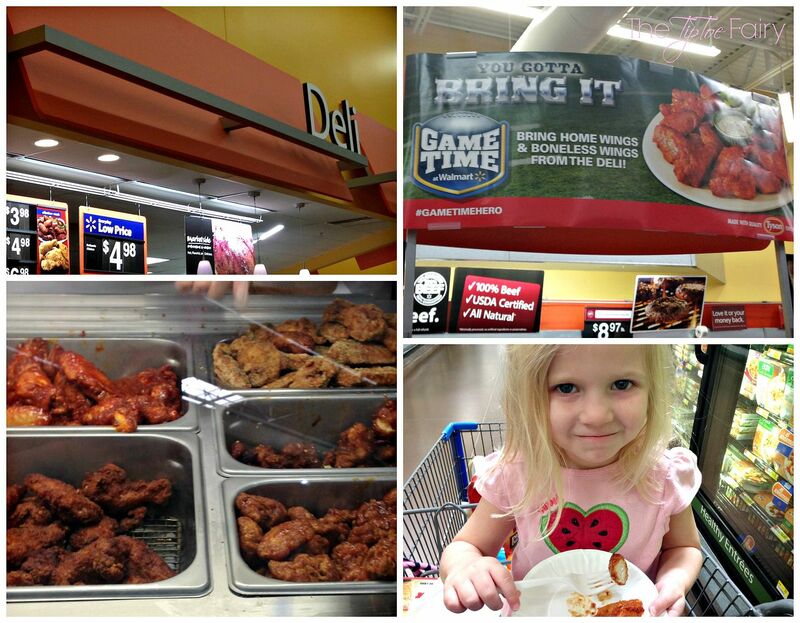 Grabbing some delicious hot wings at the Walmart deli makes it even easier for us to eat at home. My daughter performs at all the Friday night high school games. They dance in the stands, and perform at halftime. We don’t want to miss a single one, so it’s easier to eat at home right before we go rather than try to eat out. This past Friday I was at Walmart while they were giving out free samples of hot wings, and I thought, “why don’t I grab that for dinner?” One of the best ideas I had! I was able to get the pick 3 bucket. 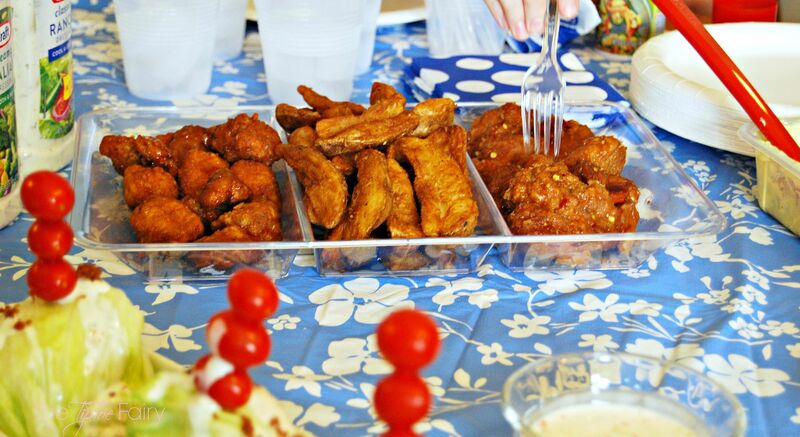 You can choose 2 kinds of wings and a side. I ended up getting Boneless General Tso’s wings plus potato wedges and mustard potato salad – all from the deli! 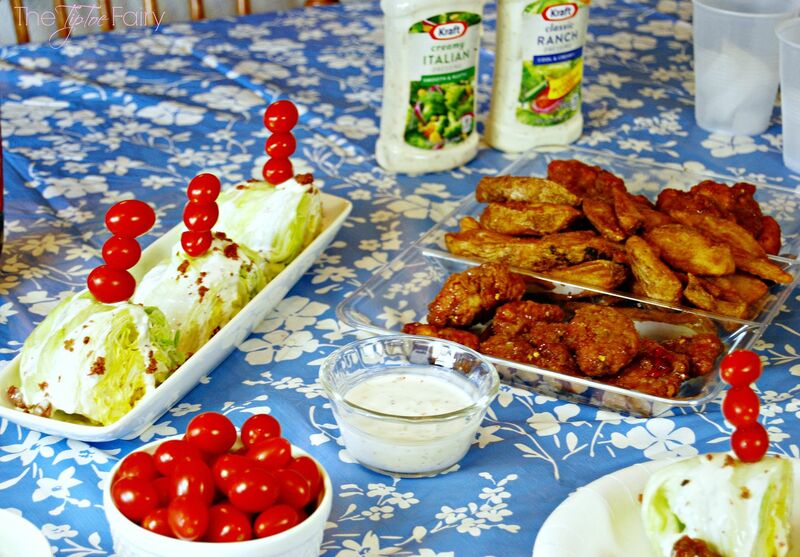 Then, I grabbed Kraft’s Creamy Italian and Ranch dressings for great dipping sauces. 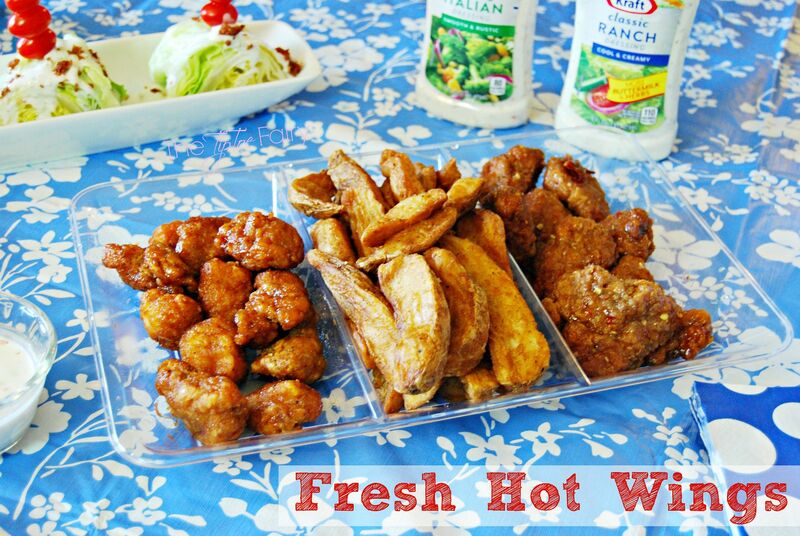 The Walmart Deli provides Tyson wings in Bone-in Hot Wings and Boneless General Tso’s flavors. Not only can you get them in a Pick 3 Bucket, but they are also available in a plated meal or by the pound. Nate and Mr. E were stoked when I brought it all home for dinner! 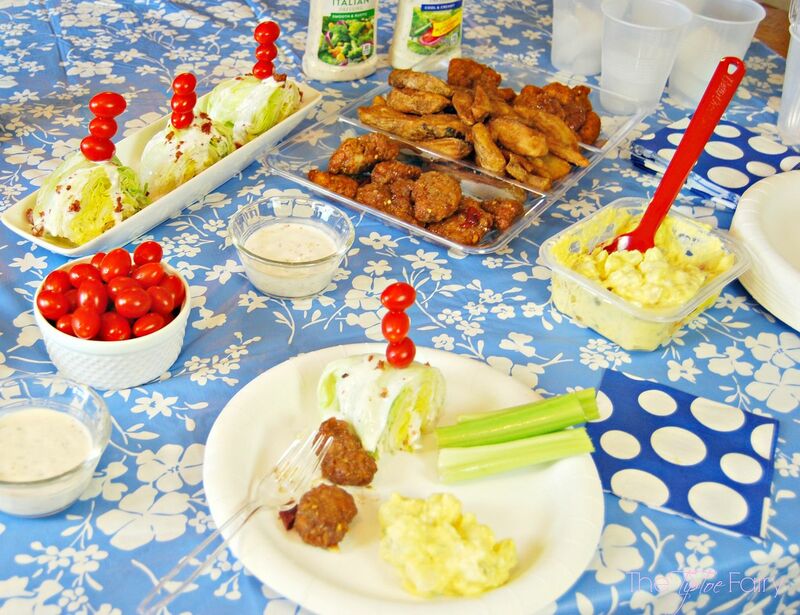 They could not wait and started stealing wings before I could get everything on the table! Since we were in a little bit of a rush (I want the good seats by the marching band! ), I decided to make it buffet style so we could all grab some food and eat quickly. Dinner on the table in less than 10 minutes is my kind of dinner! 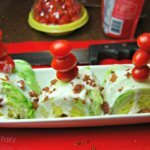 One of my favorite salads is a wedge salad. Whenever we go out to eat and there’s a wedge salad on the menu, I always order it. Since I wanted to make a quick salad to go with our wings, I decided to make a mini version of a wedge salad. Wash the lettuce and remove any wilted outer pieces. Then, remove the core. Cut the lettuce in half, then cut each half into thirds. (If your head of lettuce is small, just cut into half and half again – so fourths). Wash the tomatoes and spear three on a toothpick. Then, insert the toothpick into the top of the salad wedge. Next drizzle Kraft Creamy Italian dressing over each wedge. 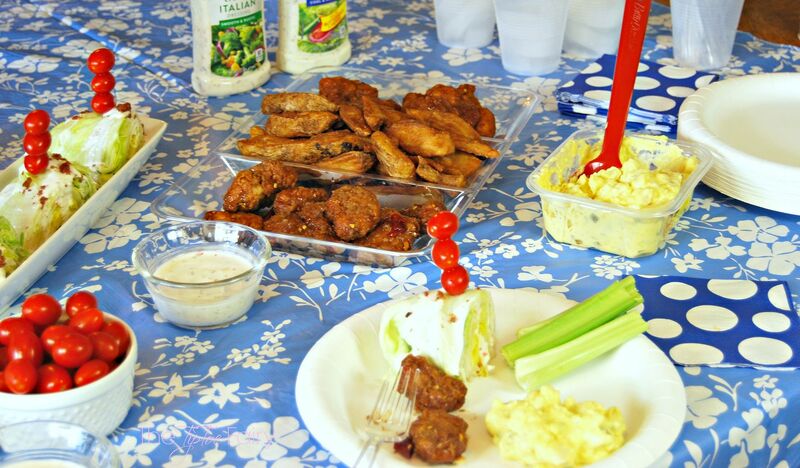 What’s your favorite football party recipes? 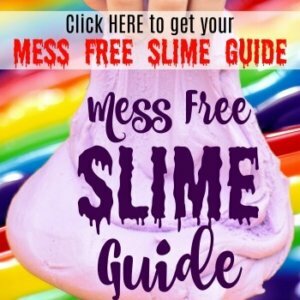 I need some ideas!! We had wedge salad at our wedding and my husband orders it every chance he gets. I should really try to make it at home more often. Love the cute little tomato toppers. these look delicious, I think David(my husband) would chow down on this like it was his job! Those wedge salads are adorable! I am a sucker for potato wedges as well! I love Wal*Marts ready made hot foods…we grabbed a couple roasted chickens just the other night. Such a time saver and great meal all in one. PS – that wedhe salad looks great! My aunt is such a fan of wings from Walmart. She swears by them. I’ve had them a few times and must agree that she’s right. I’ve never thought to serve salad like this. It’s much easier than chopping the lettuce. I am going to try this on my next salad go. 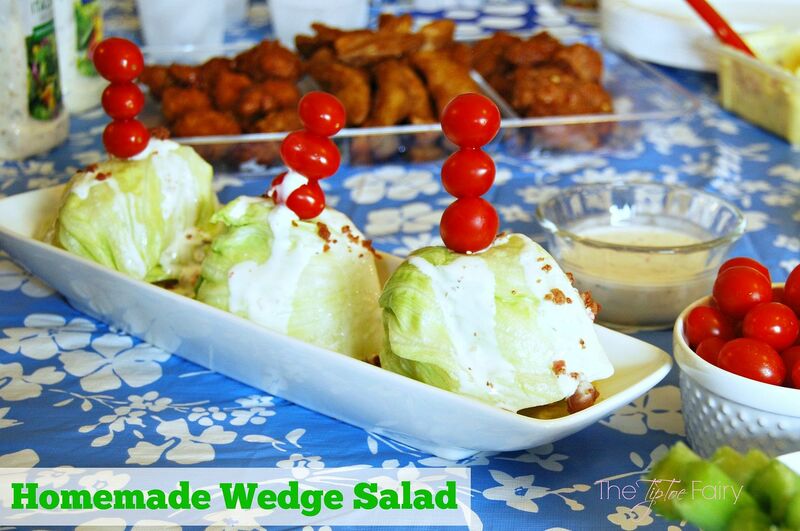 Wedge salads are a favorite in our house! So easy to put together and I always love the presentation. With remade chicken, this is a cinch on busy nights! I love wedge salads and have enjoyed them for years. Thank you for sharing your wonderful version! !